This post was sponsored by Building Blocks Vitamins, which provided product for use in this review. All opinions are those of Bariatric Foodie. This is La Grande Diva (LGD). Otherwise known as the oldest of my two daughters. I talk about both my daughters a lot around here (the younger one I call “La Petite Diva”). When I started this blog she was…10? Now she’s almost 17. Oy. I’m getting old! My dear, sweet LGD is a big fan of vitamin B-12. I’m not sure how it came to be that way but she really, really, really, really, really believes in the virtues of this vitamin. So much so that whenever I get samples of the stuff, they mysteriously vanish. I’ve taken to simply buying her a stash of her own. 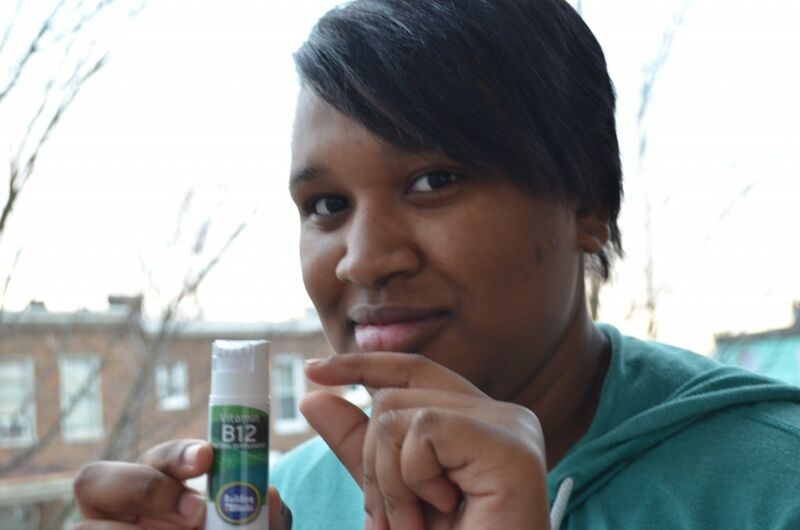 She swears when she runs out of vitamin B-12, her whole world changes. So why am I telling you that? 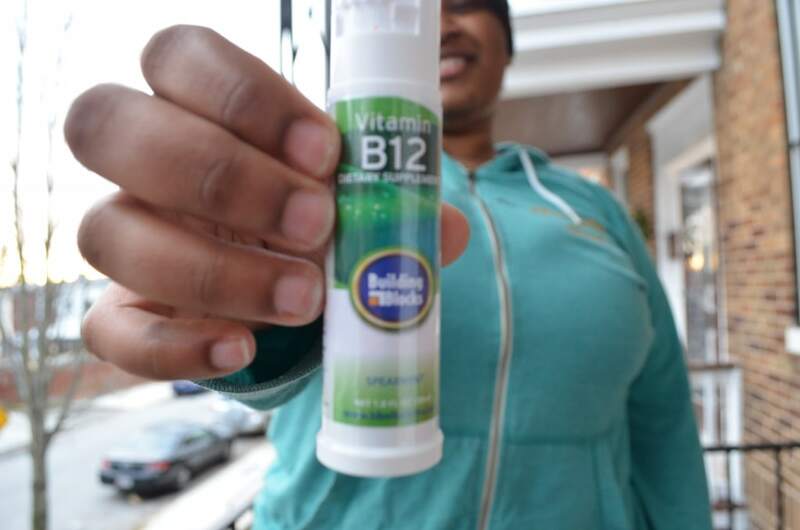 Because the business of the day is to review Building Blocks Vitamins Spearmint B-12 spray and I thought to myself, “Self? Who better to help you with this review than LGD, lover of all things B-12?” Her little sister is my partner-in-crime for recipe photo shoots and protein supplement reviews (as LGD hates 95% of all food), so it was fun to finally have a post where I could connect with this child. Having teenaged daughters is a lonely, lonely thing sometimes. Anyhoo…in this post, LGD will be demonstrating our experience with this product. Moving on! 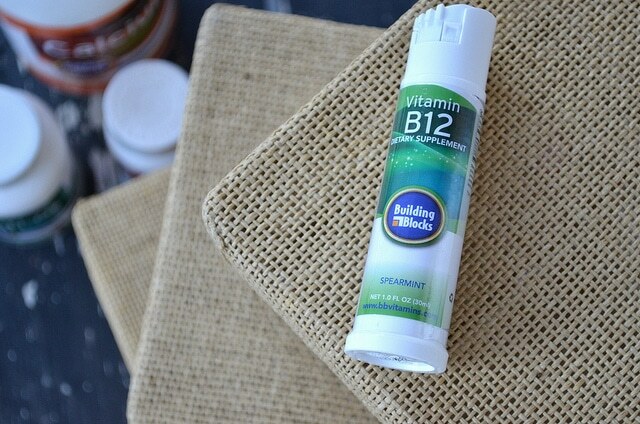 Now…before we get into this product review, I want to make sure we are all on the same page about what Vitamin B-12 is, what it does, and why any of that matters. To that end I’ve created a quick-read tutorial for you. Take a moment to give it a read. It’s important stuff! So back to this review. Building Blocks Vitamins! I’ve known this company for years. They are what I call my “default vitamin.” In all actuality I am sort of like Mikey (from the Life Cereal commercials for you youngins…Google it) in that I can take nearly any vitamin and be ok. As a blogger, I also receive lots of vitamin samples to try so I admit I only have to actually buy vitamins about once a year. When I do, I buy Building Blocks. Why? Mostly because I have liked all the flavors I’ve tried but also when I was a very new post-op one of their reps spent a whopping 50 minutes on the phone with me getting my head on straight about vitamins. 50. Yes. Five-zero. It’s funny how folks grow attachments to companies. I just really appreciated them taking the time when I was really confused. So they are my default vitamin. Getting back to the B-12. I tried to take a picture of the nutrition label but I don’t have a macro-lens on my camera (#CameraGoals), so I had to steal the label from the interwebz, but here it is. Now you’ll notice it has a REALLY high dose of B-12. It’s 20,000% of the recommended daily value. That’s mostly to increase your chances of absorbing it but it should also be noted that B-12 is water-soluble, which means the body doesn’t store it, which means if you take too much it comes out in your pee. (Sorry to be crass.) This is unlike some vitamins (Vitamin D comes to mind) that can be toxic when you take too high a dose over too long a period of time. So LGD got a bit perplexed trying to open the spray. It is note-worthy that Building Blocks actually sent two units over and I opened the other just fine, but still. It’s fun to show you her struggle. As you can also see below, it’s a spray that’s meant to go under the tongue. So it works on the same logic as the sublingual tablets. 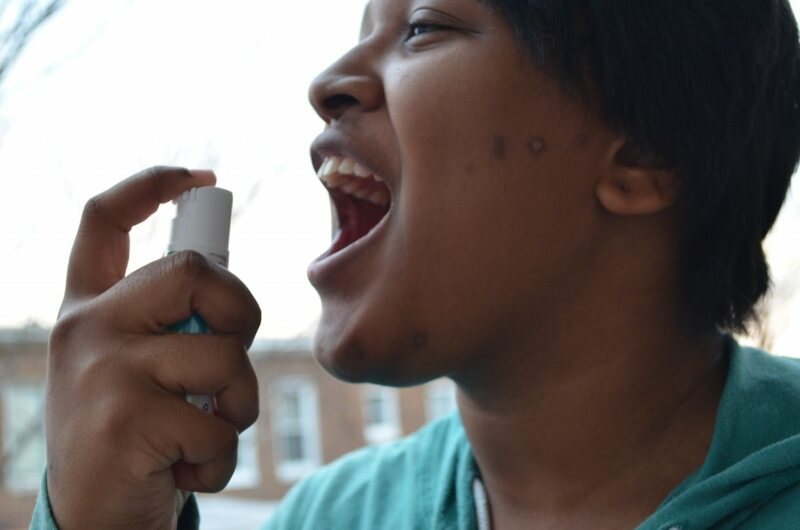 As the directions state, you give yourself about six sprays and hold it under your tongue for a few seconds then you can swallow. Simple, right? And the direct quote would be, “It tastes like it has this much spearmint, with some sweetness and water.” Fair enough. I thought it tasted pretty much like spearmint. Or as much like spearmint as a vitamin could taste. It’s not a strong minty flavor. It fades fast. 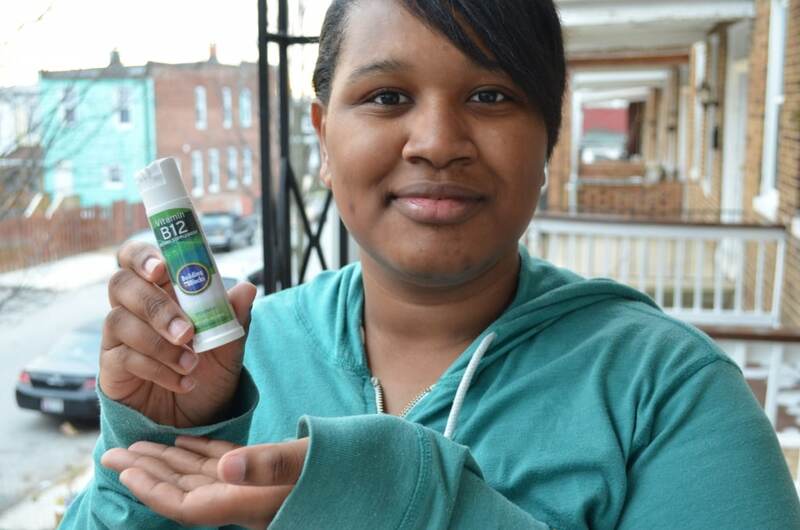 This stuff also isn’t going to make bad breath go away (and, yes, we did conduct a study). It’s a mild, minty flavor that has a touch more sweetness than a regular mint, which I’m going to attribute to the fact that it uses stevia as its sweetener (and because I’ve always felt that way about stevia stuff…it’s got a bit of an exaggerated sweetness to it). So hey! Yeah. There’s that. For those who use stevia, this is an option for you! We both found the color (a watery red) to be interesting. A debate ensued over whether we’d ever encountered a red B-12 before. I had because I’d taken injectible, but she had only experienced sublinguals so that whole deal was new on her. It is note-worthy that this did not stain the tongue. 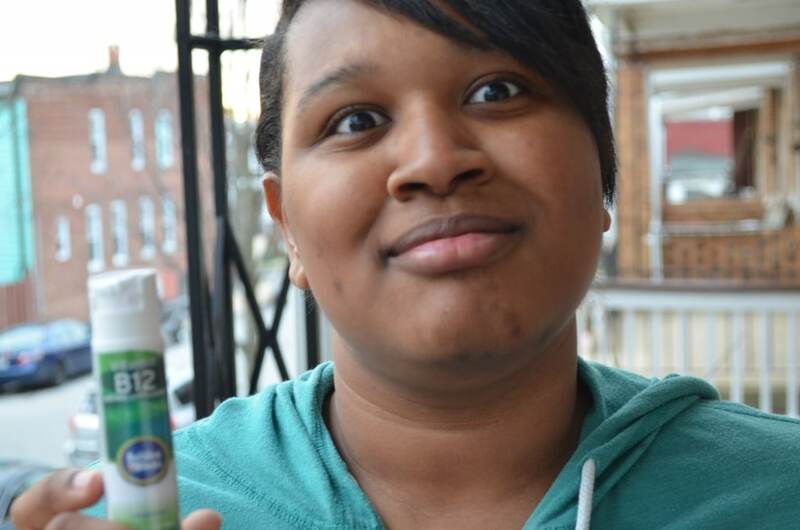 On the Building Blocks website, this prices out at $15.00 for 30 servings (a serving = six sprays). That comes out to a nice, even $0.50/spray. Building Blocks also 400 mcg folic acid and 4mg of Vitamin B-6. The kind commonly sold at Wal-Mart (called Spring Valley) appears to only contain Vitamin B-12. So I’m on the fence about this one. I honestly think at the bottom of it, it’s a lifestyle thing. I like the spray because it’s convenient. 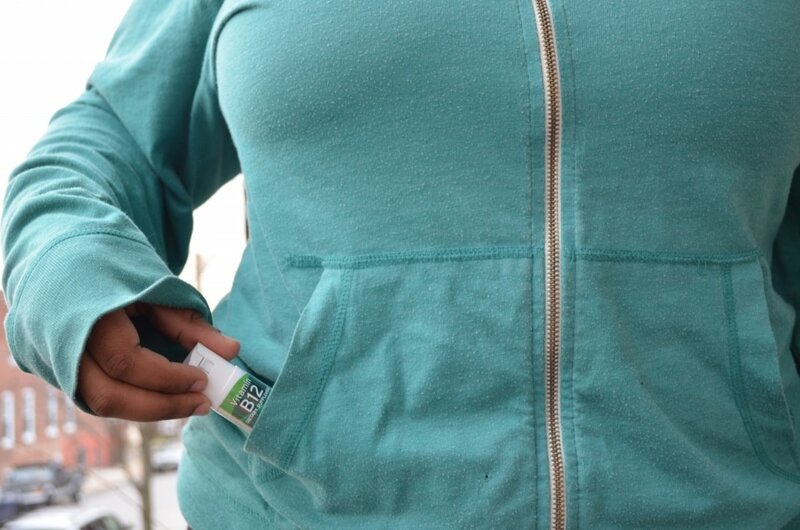 I can toss it in my purse and it doesn’t look weird if I have to randomly spray it. It’s not a pill (I have a thing about pills) which is also a plus. So that’s why I use it. You, on the other hand, may not give two flips about any of that and are good taking whatever is the cheapest. To you I say rock on, Thrifty Foodie, rock on! And if you do want to give it a try, now is a good time. If you visit the Building Blocks website and order the B-12, use code b12foodie at check-out to get $5 off, bringing the price to $10, bringing the price down to $0.33/serving. And with that, I leave you with this final shot of LGD, who seems very happy to have her stash of B-12 replenished. Thanks Building Blocks!